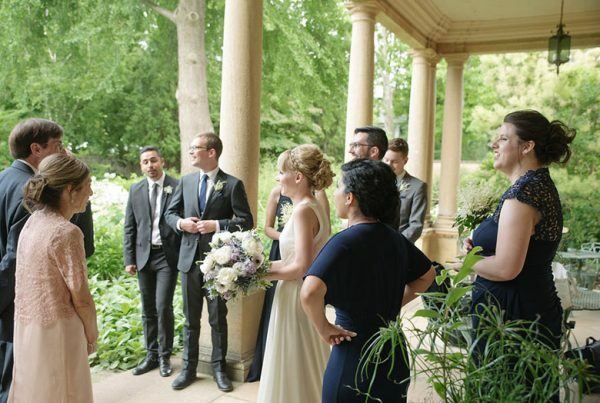 The Paine Art Center and Gardens offers a variety of elegant indoor and outdoor wedding ceremony locations for groups of 20 to 200 guests. Our flourishing gardens, historic Mansion, charming Carriage House and timeless Conservatory each have unique architectural and design features and provide a lovely backdrop for your wedding day. Please contact us to schedule a tour and learn more about hosting an exceptional wedding at the Paine. For more information, contact Laura Rommelfanger, Director of Events, at (920) 235-6903 ext. 27 or at weddings@thepaine.org. Plan a unique and magical ceremony admist the flourising gardens of the historic Paine estate. Afternoon weddings are held in the Ceremony Garden at 1:00 p.m. Fridays and Saturdays and include photography throughout the gardens. Treat your guests to a cocktail reception before or after your wedding ceremony in our charming Carriage House and adjacent courtyard. Guests are invited to tour our nearly twenty themed gardens as they gather in anticipation of your vows or as you and your bridal party take photos between your ceremony and reception. 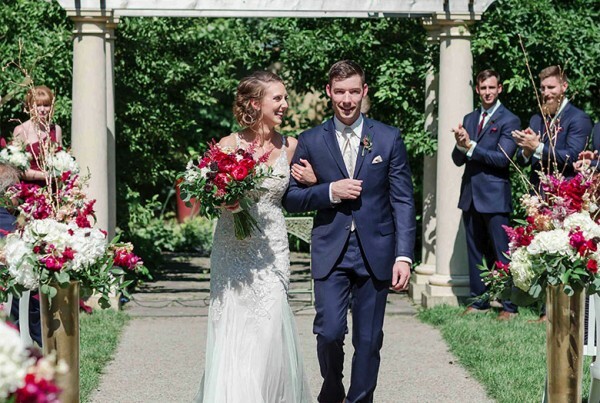 The Ceremony & Soiree package is available at 1:00 or 3:00 p.m. and includes use of the Ceremony Garden as well as reserved indoor space in our Conservatory. A once in a lifetime celebration deserves a legendary setting. 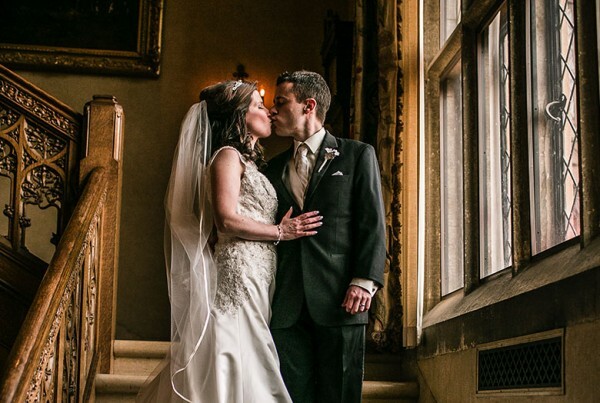 Host your ceremony inside the Paine Mansion, known for its European-Style architecture and flourishing art. Mansion ceremonies include seating for up to 80 guests in the Great Hall. Ceremonies in the mansion may be held after 4:00 p.m. on Fridays and Saturdays. Regardless of the weather, your wedding guests will be safe from the elements with this paired reservation. Plan to exchange vows in the Ceremony Garden while simultaneously reserving space in our bright Conservatory to use in the event of inclement weather. Rain or Shine ceremonies are held at 1:00 p.m. Fridays and Saturdays.